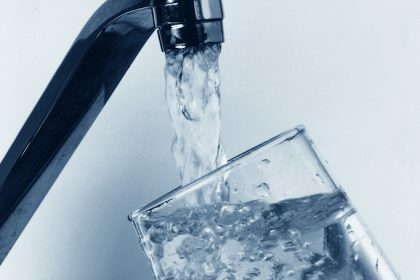 In approving a rate hike for Madison Water Utility (MWU) customers, the state Public Service Commission (PSC) took the unusual move to require the utility to submit a plan to shore up its finances and reduce its reliance on borrowing. The state regulators decided that Madison Water Utility will have to more closely monitor its construction projects and submit a Financial Improvement Plan within two months. The requirement for MWU to develop such a plan is remarkable, given the PSC’s laissez-faire approach to regulating utilities. The rate hike should translate into an increase of about $7 a month for a typical residential customer of the state’s second largest water utility behind Milwaukee Water Works. CUB supported the amount of the rate increase after reading testimony from both MWU and PSC staff confirming the utility’s very serious financial condition. In addition to the $6 million deficit MWU announced in April, the utility currently relies far too much on borrowing, with debt accounting for 78% of its capital structure. A reasonable municipal utility capital structure, in contrast, would be about 50% debt and 50% equity. MWU currently carries so much debt that, without a rate increase it could not issue bonds for unexpected infrastructure improvements. MWU is also in the middle of a decades-long project to replace its water mains at a cost of roughly $1 million per mile. The utility must also pay the City of Madison millions per year in payments-in-lieu-of-taxes (PILOT) and administrative charges, and these expenses will not likely decrease soon. In light of these factors, CUB supported PSC staff’s recommended rate increase, but also emphasized to the Commission that the utility’s myriad financial difficulties need to be addressed. The PSC noted these same financial issues at the start of its discussion on MWU’s application and adopted several CUB recommendations, choosing to impose a more aggressive cap on reporting construction project cost overruns. Under the PSC’s standard approach to construction projects, utilities do not have to report cost overruns until construction costs exceed 110% of the approved budget. In the past few years, however, MWU repeatedly exceeded that 110% mark, for six separate construction projects. CUB recommended that the utility be required to report overruns of 5% above a project’s cost for future construction projects, rather than the standard 10% margin. CUB analyst Corey Singletary noted in testimony that the lower overage margin would send a signal to MWU that it must better manage the construction process. The PSC decided to adopt this provision until MWU’s next rate case, which will occur within two years under a separate decision by the Commissioners. In another departure from standard decision-making, the PSC voted to require the utility to file a “Financial Improvement Plan” with the PSC within 60 days of the written Final Order in this case. The PSC has typically favored a hands-off approach to regulating state utilities, but Commission Chairman Lon Roberts decided that more active oversight of this utility was important. Fellow Commissioner Rich Zipperer was of a similar mind, noting his frustration with the limited tools the PSC had to address this situation. Commissioner Mike Huebsch also agreed, stating that while the Commission typically is less prescriptive on how utilities should be run, in this case the reporting recommendations were absolutely necessary. As Roberts described, MWU will have to prepare a plan of operational adjustments and financial changes. The plan must include actions the utility can take to reduce its required rate of return to 5.1% and achieve a capital structure of 50% debt and 50% equity. MWU must submit the plan for PSC staff to review and comment, and then finalize it within 90 days. The bottom line from CUB: we believe that MWU’s rate increase is unfortunate but necessary, and we support the PSC’s recovery plan requirement. The utility must make significant changes to shore up its financial condition in the months and years ahead, and this plan should help it do so. The PSC made its initial decision on Oct. 10 and finalized it on Nov. 1. Madison Water has indicated it plans to file an application in 2019 to seek another price increase, one that is designed to reduce the utility’s reliance on financing capital improvements with debt. CUB will very likely intervene and participate in that case as well.